Exercise can be an integral part of a weight loss program, serve as both mental and environmental enrichment, and function as a preventive measure for indoor cats prone to obesity and/or obesity-associated diseases. Although increasing physical activity can help with weight loss, unless there is significant activity that burns calories, physical activity in cats may be more useful in the management of behavior problems or conditions linked to stress (eg, feline lower urinary tract disease). For example, a cat that overgrooms or begs for food may be distracted from such behaviors by physical activity and/or mental enrichment. 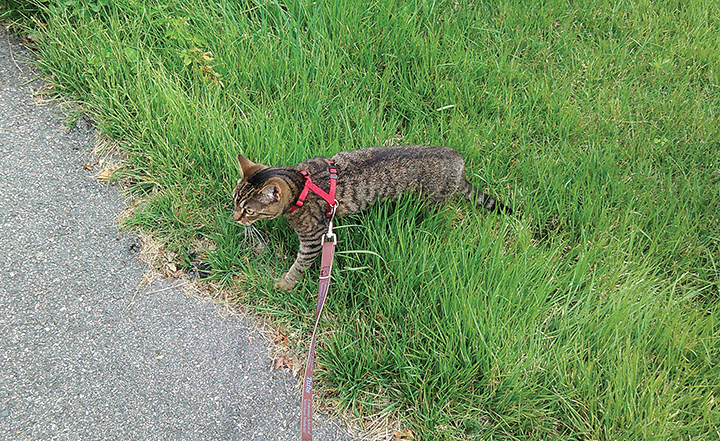 With the exception of walking, information on various forms of exercise in dogs and cats is largely undocumented; this leaves cat owners without clear guidance on how to provide and encourage healthy activity for their cat unless it is leash-trained. The benefits of physical activity in cats are difficult to quantify due to lack of research, but any increase in physical activity is likely beneficial. Thus, the development of an individualized physical activity program can be a helpful addition to primary nutritional management of weight loss and/or provide a means for reducing attention-seeking and/or destructive behaviors. 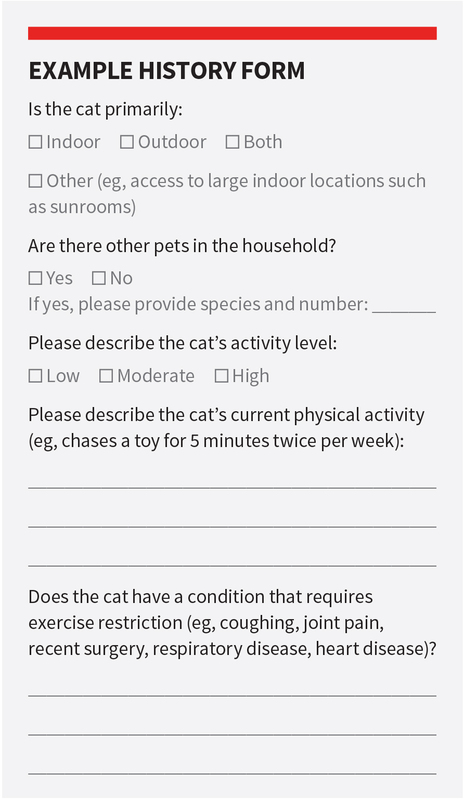 Before incorporating exercise into a cat’s routine, the patient should first be assessed to confirm eligibility for a physical activity program. Then, obtaining patient history, followed by determining patient motivations and the owner’s readiness to commit, can help ensure selection of activities and development of a physical activity program tailored to the individual patient. Patient eligibility for a physical activity program should be determined by obtaining patient BCS and muscle condition score (see Suggested Reading) and assessing the patient for any comorbidities that would restrict exercise (eg, asthma; orthopedic conditions requiring cage rest, exercise restriction, or restriction of certain activities). Cats suspected of such comorbidities may need to gradually work up to physical activity or should not engage in a program until a full diagnostic investigation can be performed to rule out comorbid conditions and/or determine activity restrictions, if necessary. A complete diagnostic investigation is also recommended in patients with moderate-to-severe muscle wasting or with a BCS of 8-9/9. Moderate-to-severe muscle wasting may be indicative of a comorbid condition and should be addressed prior to implementation of a weight loss plan or physical activity program. In these patients, physical activity does not have to be restricted, but active weight loss should not occur until any medical conditions have been stabilized, as weight loss in patients with disease may induce more muscle loss than fat loss. After patient eligibility for a physical activity program is confirmed, a detailed dietary history, including current and previous activity level, should be obtained (Example History Form).1 Such information can help assess the household environment and determine what level of activity can be recommended. For example, an indoor-only cat may require scheduled activity throughout the day. What type(s) of activity do you recommend for your feline patients? Check all that apply. The owner should be interviewed to determine the patient’s motivations and incentives (eg, food-motivated [eg, willing to follow a piece of kibble down a hallway] vs hunting-motivated [eg, prefers chasing a laser light or electronic mouse]). Recommendations for a physical activity program should always be tailored to each cat’s specific motivations to ensure the cat enjoys its activities (see specific suggestions for various motivations in Activity Selection & Implementation). Providing activity recommendations tailored to the individual cat can also provide a bonding experience for the cat and the owner. The owner’s level of interest in the program and commitment to change should be evaluated (see Suggested Reading).2 For cats that live in a household with multiple humans, each individual should be interviewed to gauge his or her interest and level of commitment, as this can help tailor the plan to an achievable level for the household; if this is not possible, having all members individually fill out a dietary history form that includes questions regarding personal readiness to commit would also help identify household dynamics. Owners with low readiness to commit should be given only a few simple activities to try, and frequent check-ins with the owner should be held to evaluate continued interest and adherence to the program, whereas owners with high readiness to commit could be given multiple activities to try. Creating a calendar with clear goals for each activity can also be beneficial. 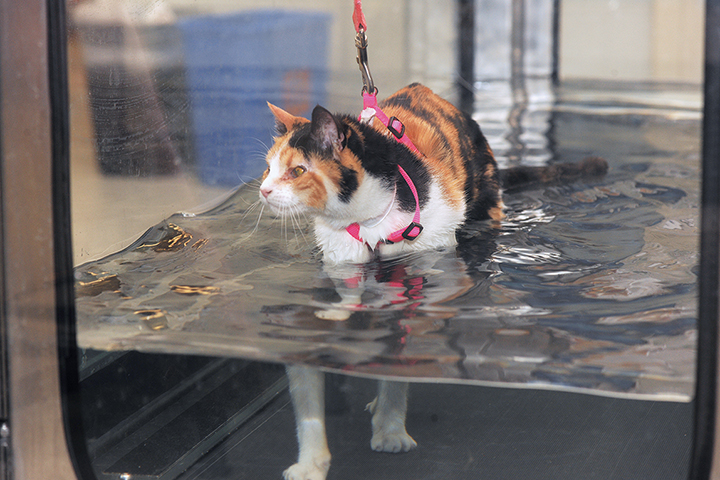 The physical activity chosen should be part of an individualized weight management plan; patient motivations should be considered, and expectations, schedule, potential challenges, and any patient or owner limitations should be discussed with the owner.3 For example, owners of previously sedentary cats should be encouraged to gradually increase their cat’s activity, starting with creative, low-intensity activities (eg, walking around the house, searching for food items) for 5 to 10 minutes per day. Cats with higher BCS scores should be more cautiously worked up to the activity goals set for them, as arthritis and/or joint issues are more prevalent in this population and may require exercise restriction or modification (eg, shorter duration, lower intensity). Food-motivated cats can be given puzzle toys that allow access to treats or meals after the cat has activated the toy through physical activity.6 The food items the patient enjoys and that motivate the patient to move should be ascertained. Cats do not have sweet receptors7 and are therefore more likely to prefer textured foods and meat tastes. In the author’s experience, vegetables that are semisoft (eg, zucchini) or moist and crunchy (eg, sweet red peppers) may also be appetizing to cats. Commercial treats vary in calories, so owners should be instructed to read treat labels before selecting a commercial treat; the chosen treat should not exceed 1 kcal per piece. High-calorie foods such as cheese or fatty meats (eg, ground beef) should be avoided. For cats fed only canned food, owners can open a can of food and encourage and entice the cat to follow them around the house. Kibble can also be used as a treat if the cat is fed dry food; for these cats and those that like to eat throughout the day, particularly those in single-pet households, spreading kibble throughout the house can be an excellent way to encourage activity associated with mealtimes. Owners should be advised to not use too many high-calorie treats or foods to encourage exercise, as an activity that burns 10 calories but requires 100 calories in treats will defeat the purpose of the exercise. For cats that are motivated by hunting, electronic toys (eg, mice, laser/pen lights) can be used to encourage physical activity. However, some cats may quickly become bored of such toys; in such situations, a treat or kibble can be tossed to the cat when it catches the light or toy mouse. After the physical activity program has been tailored to the patient and implemented, continued owner interest and adherence to the program should be evaluated through regular follow-up. Troubleshooting activities (see Suggested Reading), and various parts of the weight loss or obesity prevention plan, every 2 weeks should be considered. Owners should be educated that, although increased physical activity may help reduce begging behaviors and maintain lean tissue, there is no substitute for monitoring caloric intake. Increasing physical activity in dogs has been shown to allow for ingestion of slightly more calories while still maintaining weight loss goals; however, calorie restriction and monitoring are still considered mainstays of obesity prevention and treatment.10 Although outside the scope of this article, it is important to note that nutritional management is of critical importance in feline weight loss and weight management. Cats in particular tend to require significant calorie restriction to achieve an ideal BCS. An appropriate veterinary therapeutic weight loss diet is often necessary to reduce caloric intake without reducing nutrients essential to cats. An individualized physical activity program can be a successful adjunct to primary nutritional management of weight loss in cats. Brooks D, Churchill J, Fein K, et al. 2014 AAHA weight management guidelines for dogs and cats. J Am Anim Hosp Assoc. 2014;50(1):11. Churchill J. Increase the success of weight loss programs by creating an environment for change. Compend Contin Educ Vet. 2010;32(12):E1. Dantas LM, Delgado MM, Johnson I, Buffington CT. Food puzzles for cats: feeding for physical and emotional wellbeing. J Feline Med Surg. 2016;18(9):723-732. Ellis SLH, Rodan I, Carney HC, et al. 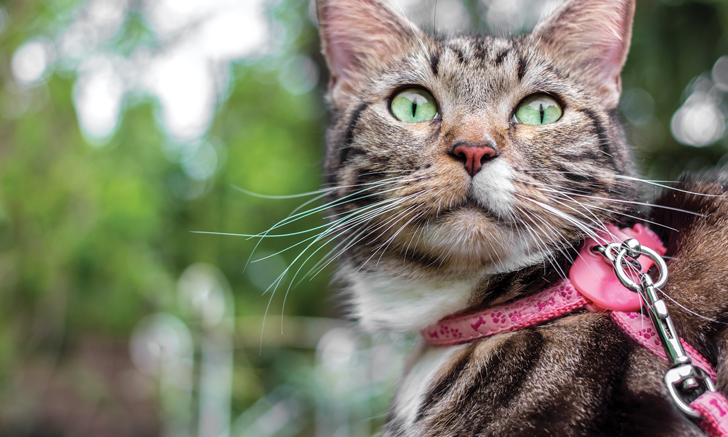 AAFP and ISFM feline environmental needs guidelines. J Feline Med Surg. 2013;15(3):219-230. Herron ME, Buffington CA. Environmental enrichment for indoor cats: implementing enrichment. Compend Contin Educ Vet. 2012;34(1):E3. WSAVA Global Nutrition Committee. Body condition score. WSAVA website. https://www.wsava.org/WSAVA/media/PDF_old/Body-condition-score-chart-cats.pdf. Accessed January 30, 2019. WSAVA Global Nutrition Committee. Muscle condition score. WSAVA website. https://www.wsava.org/WSAVA/media/Documents/Committee%20Resources/Global%20Nutrition%20Committee/Muscle-condition-score-chart-2013-1.pdf. Accessed January 30, 2019. WSAVA Global Nutrition Committee. WSAVA Global Nutrition Committee nutritional toolkit. WSAVA website. http://www.wsava.org/nutrition-toolkit. Accessed January 30, 2019. Chauvet A, Laclair J, Elliott DA, German AJ. Incorporation of exercise, using an underwater treadmill, and active client education into a weight management program for obese dogs. Can Vet J. 2011;52(5):491-496. Mlacnik E, Bockstahler BA, Müller M, Tetrick MA, Nap RC, Zentek J. Effects of caloric restriction and a moderate or intense physiotherapy program for treatment of lameness in overweight dogs with osteoarthritis. J Am Vet Med Assoc. 2006;229(11):1756-1760. Li X, Li W, Wang H, et al. Cats lack a sweet taste receptor. J Nutr. 2006;136(7 Suppl):1932S-1934S. Wakshlag JJ, Struble AM, Warren BS, et al. Evaluation of dietary energy intake and physical activity in dogs undergoing a controlled weight-loss program. J Am Vet Med Assoc. 2012;240(4):413-419.